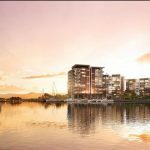 Waterville Residences are a waterfront apartment development on Hope Island, on the Gold Coast. 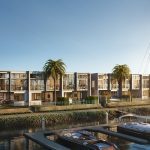 There are 24 four-bedroom townhouses in Stage 1 which is now completed, and 30 two and three-bedroom apartments available in Stage 2. Prices start from $429,000. Residents at Waterville will have access to a number of communal facilities, including a pool, undercover BBQ and dining area, among others. The entire development is surrounded by security fencing and is intercom gated. The display suite is open from 10:00am to 3:00pm from Saturday to Tuesday. It is located at 37 Sickle Avenue, Hope Island. One-bedroom apartments are priced from $429,000, and the 25 two-bedroom apartments start from $499,000. Three-bedroom apartments are priced from $679,000, with the two three-bedroom penthouse apartments (that also have an extra multi-purpose room) priced from $919,000 to $929,000. 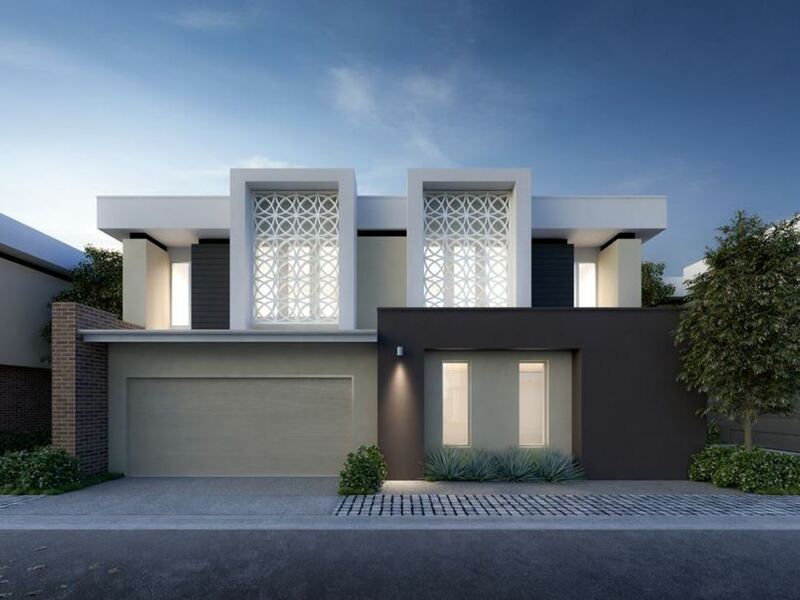 Townhouses, which have four bedrooms, are priced from $579,000. Stage 1 of the development has been completed, with Stage 2 set to begin in June 2019, for a May 2020 completion. All of the townhouses and apartments at Waterville are designed to be livable for their owners at all stages of life, from first-home buyers to downsizers. 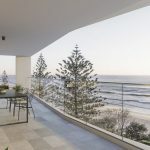 This is due to design features such as open-plan kitchen, living and dining areas that connect to gardens and slightly larger than normal bedrooms. Investors are also likely to be drawn to the project due to this, as well as the 5% guaranteed rental return for the first 12 months. There will be an on-site manager at Waterville, which is a nice touch, as it allows residents to form a relationship with the person who will be looking after the project in the long-term. Residents will have access to the communal areas, which include a pool and BBQ area among others. These are designed so that they can relax by themselves, for entertain friends and family. Residents have access to a number of communal facilities, all of which have been major drawing points for all buyers. 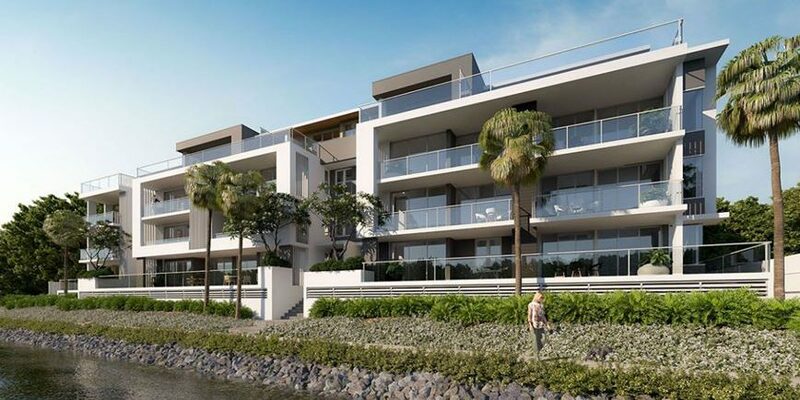 There is a gated waterfront enclave, along with a pool, BBQ, gym and residents lounge, and if buyers wanted to go for a walk, there is a waterfront boardwalk as well. This is connected to the eight-berth marina, which can be purchased separately. 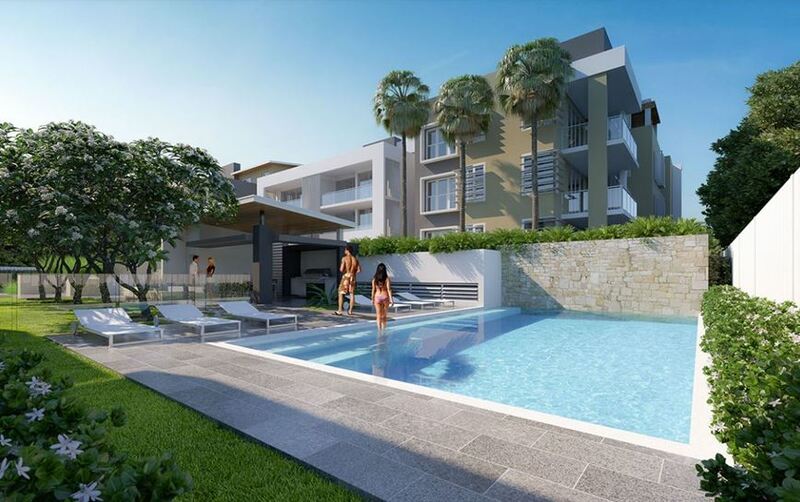 The entire development is surrounded by security fencing and is intercom gated. Waterville is located quite close to a number of amenities, but far enough away that residents can ignore the hustle-and-bustle of the always-busy Gold Coast. The Hope Island Sopping Centre and the Hope Island Golf Course are less than 4km away, which makes it easy to buyers to pop over and buy their groceries, catch up at a restaurant with friends, or play a few holes. There aren’t very many schools within the immediate area surrounding Waterville, however there are a number of well-respected schools on the Gold Coast. This includes the all-female St. Hilda’s, and their all-male brother school The Southport School. 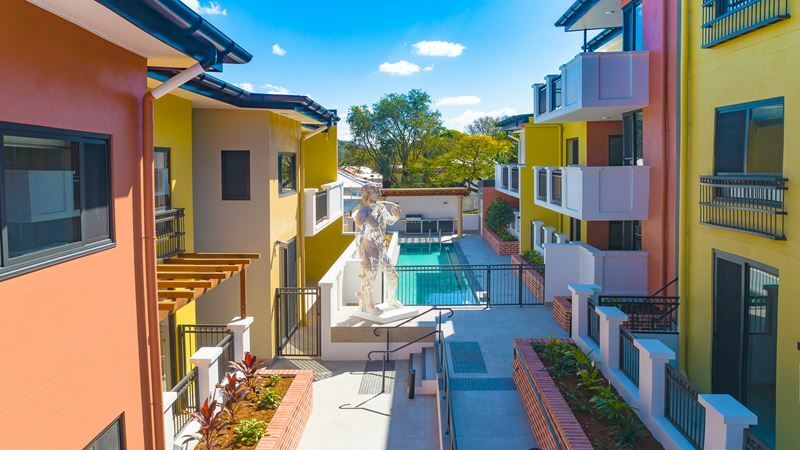 Closer to home, there’s Coombabah State School, Saint Steven’s College, and Coomera Anglican College, all of which are known for their close-knit communities and academic programmes. At the current time, floor plans for Waterville are not currently publicly available. Please enquire below for floor plans from the particular configuration you’re interested in. Waterville Residences are finished to a high quality, which is evident in the small details in the townhouses and apartments. Inclusions like ducted air conditioning, along with high ceilings help to make the apartments and townhouses liveable and set them apart from others in the area. Small things, like having a butler’s pantry — which is great if you plan on entertaining — and a built-in dishwasher, show the thought and attention that went into making the apartments and townhouses work for first home buyers, families and downsizers. The bedrooms are carpeted, and the living areas and kitchen tiled, which is great for both comfort and cleaning. The body corporate fees are expected to be $60 to $69 per week for apartments, and $49 to $50 per week for townhouses. Council rates are estimated to be $2,500 per year. 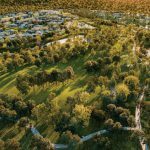 Waterville is being developed by well-known and respected developer Stephen Solomon, who is known for his work in creating livable, exciting new projects in Queensland. Waterville Residences is his latest development.